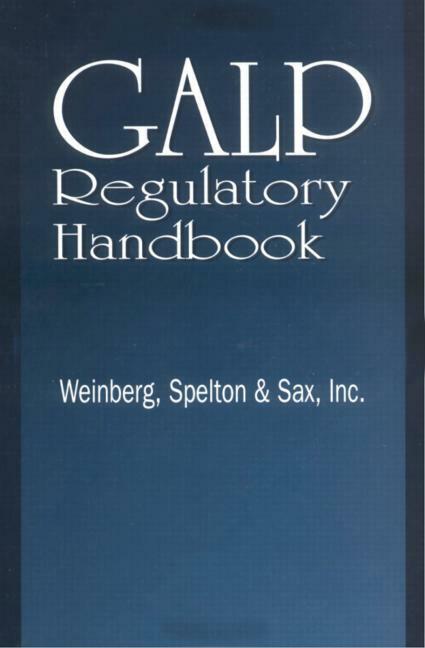 The GALP Regulatory Handbook is an easy-to-use manual to assist laboratories in applying the Good Automated Laboratory Practice guidelines published by the Environmental Protection Agency in 1990. The proliferation of computerized data collection has resulted in new problems of corruption, loss, and inappropriate modification in data provided to the EPA. The EPA published its GALP guidelines to aid laboratories replacing manual operations with computer technology. The eight chapters of this handbook provide a "how-to" framework for complying with those guidelines. The book looks at the extent and seriousness of those control issues for automated data collection systems, the intent of the GALPs in solving and preventing those problems, and the implementation guidelines that can help laboratory management maintain the compliance and quality that are fundamental to effective operation. Why GALPs? Overview of the GALPs: Laboratory Organization. Overview of the GALPs: GALP Requirements. Documentation. Data Integrity and Security. Validation. Tools for GALPs Compliance. Regulatory Issues. References. Appendices: Good Automated Laboratory Practices. GALPs Implementation Guide. Sample SOP on SOPs.